Expand the connectivity options of your USB enabled computer with the USB 3.0 to HDMI/VGA Multi-Monitor Adapter from j5create. With this bus-powered adapter you can connect both a VGA and HDMI compatible displays to your computer, offering increased screen workspace to get more done. This adapter supports resolutions up to 2048 x 1152 and allows for the hot-swapping of displays, eliminating the need to power down your system when unplugging a monitor. 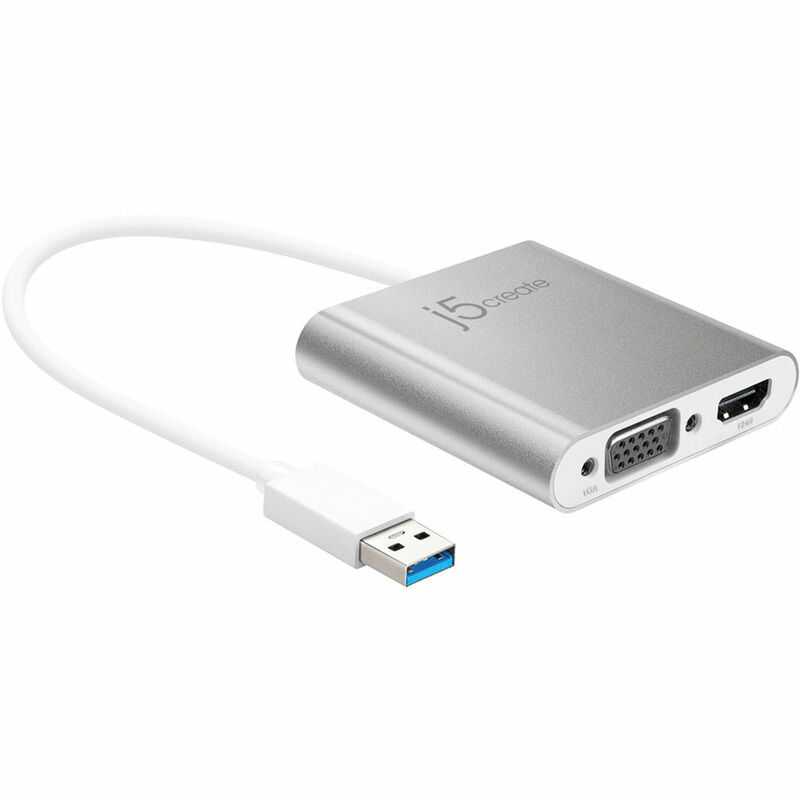 Box Dimensions (LxWxH) 6.1 x 3.9 x 1.1"
USB 3.1 Gen 1 to HDMI/VGA Multi-Monitor Adapter is rated 1.0 out of 5 by 1. Rated 1 out of 5 by Agustin from Does not work I spent hours with the manufacture trying to get it to work on my MacBook Air and it never did. DO NOT RECOMMEND IT!